Promotional | Eltham District Historical Society Inc.
– Martin Luther King Jnr. History matters… to our sense of place, where we are both physically and mentally, where we fit into the place where we are and how we relate to our surroundings. History matters… when locating yourself in time, in your part of your own history, whether it is your family, your community, your culture, your lived life experiences. These all form part of our own history we carry with us and build on as we proceed on our life journey. 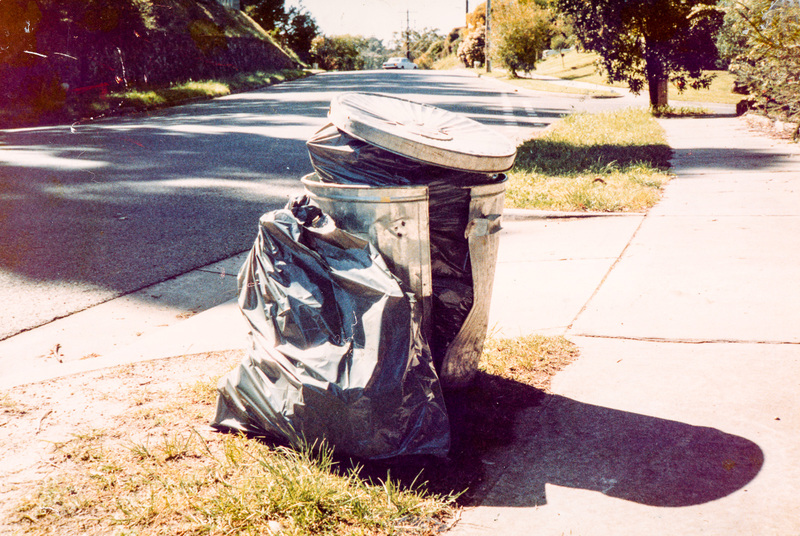 History matters… to the political climate of the time, what has or has not occurred and how those decisions impact on our past, current and future history. History matters… to how we honour our own history and of those we relate to. History matters… to how our built and natural environment evolves, how it reflects and respects the past and how it is developed or changed around us and by us. History matters… if we think it does, if we believe it does, if we encourage others to understand it does. History matters… to our memories that retain our history and to the memories of those around us. History matters… to the stories we know and tell and the stories of other people. History matters… to how we see ourself in the world. Stories of history we tell not only shape our past, they shape our future as well. The former police residence at 728 Main Road, Eltham was built in 1859-60 to house the local police officer, with the first occupant being Constable Peter Lawlor and his family. This building is on the Victorian Heritage Register and is considered to be of state heritage significance as the oldest public building in Nillumbik, after the adjacent Court House, also built in 1859-60. A single stall brick stables building with a loft was also built in the rear yard, but has been substantially altered since. The original two-cell bluestone lockup, located where the rear car park now is, was demolished in the 1950s. Some of the bluestone blocks have been used as edging for garden beds. Police activities ceased about 1952 when a new police station was opened in central Eltham. 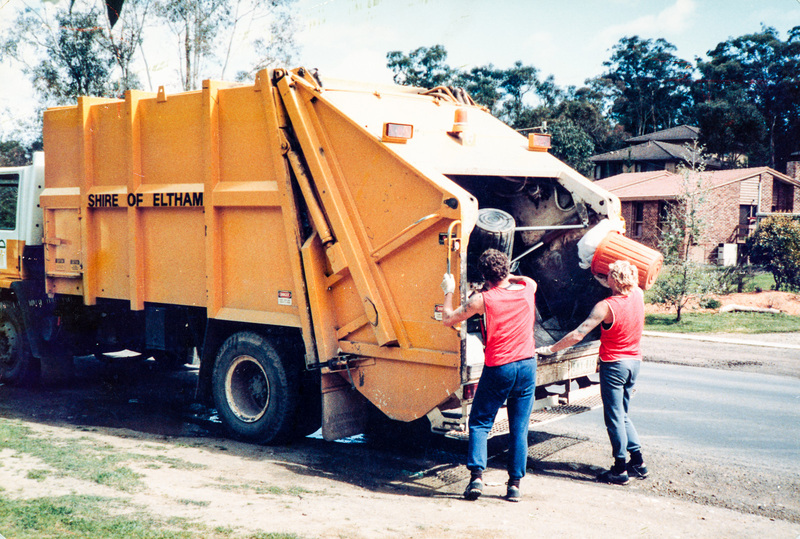 The residence was then used by the State Lands Department, followed by a Community Youth Support Scheme and later for the Shire of Eltham Parks and Environment Section. Since 1998 our Society has appreciated occupying this former residence for our Local History Centre as the base for our operations and to house a range of local history resources, records and documents. During the last six months we have undertaken a substantial refurbishment and reorganisation of the premises and to celebrate this achievement we will be holding an Open Day and official ‘reopening’ on Saturday 4th March from 2.00pm. Society members and visitors are invited to visit, browse around and explore some of our local history. The Eltham Mudbrick Tour gives Victorians a rare chance to visit five unique and beautiful mud brick homes. This annual community event takes place on Sunday 23 October, starting at Eltham’s historic artistic hub Montsalvat. The Tour has a long history, beginning in 1964 under the direction of legendary Mudbrick house architect and pioneer Alistair Knox. Mudbrick houses are naturally sustainable, making use of low energy natural material and recycled timber, blue stone, bricks and metals. The houses are often built into the natural contours of native bush land, and have distinctive architectural and artistic features. Today there are over 1,300 Mudbrick houses in the Shire of Nillumbik, allowing a different selection of houses to be showcased on the tour each year. The tour is an opportunity to visit these iconic homes (and gardens) and learn more about Nillumbik’s earth building heritage and the importance of Eltham builders, designers and architects in the development of the Australian alternative housing movement. The tour is open from 10 am to 4 pm, with a regular shuttle bus service between the houses departing from Montsalvat (7 Hillcrest Avenue, Eltham). Nillumbik Shire Council and the Montsalvat Trust are major supporters of the Tour, which is now run by Eltham High School’s ‘Friends of Music’. Ensemble musicians from the Eltham High School Music Program will be performing in The Barn Gallery at Montsalvat between 10 am -12 pm. 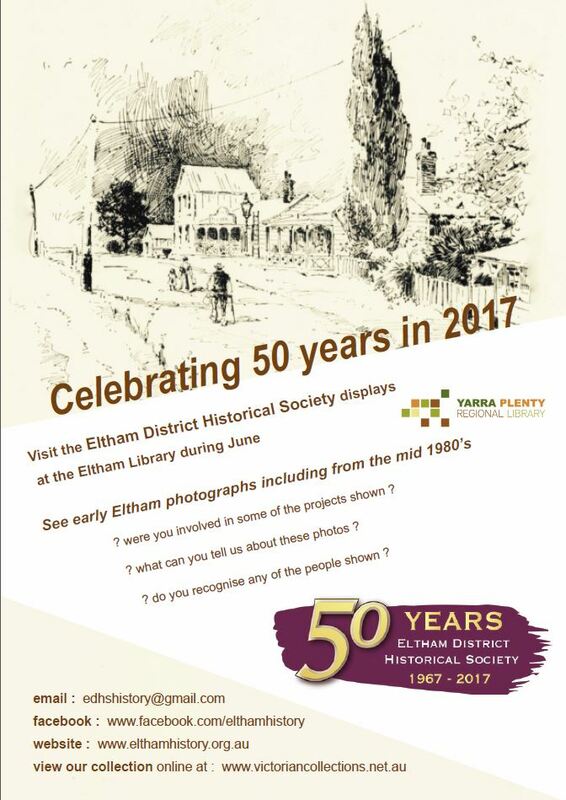 This event is run independently of Eltham District Historical Society. 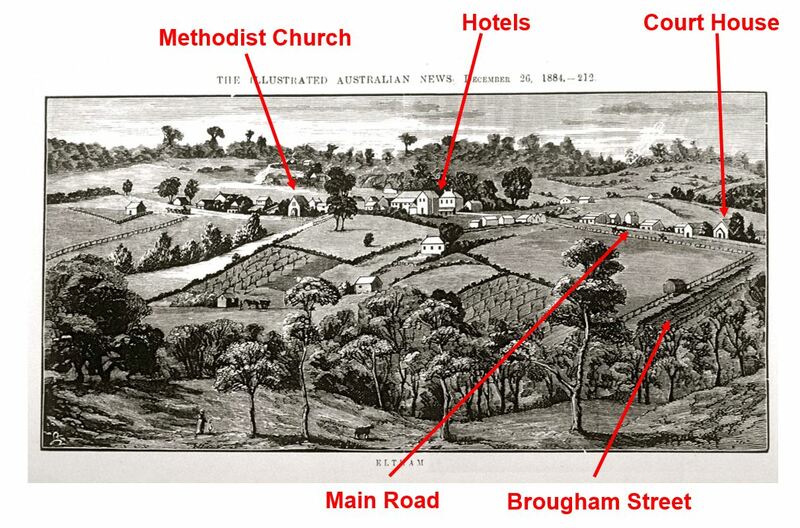 The Society is happy to promote the event to its members given the significance of these mudbrick buildings to the fabric of Eltham District.